Learn the essentials of Japanese cooking. Japanese cuisine is a sophisticated affair, where the aesthetics of the final dish are as important as its taste. 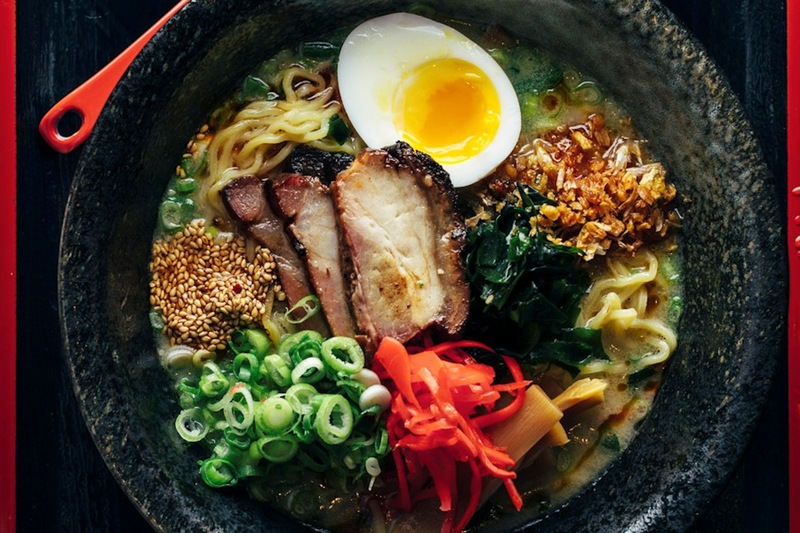 The varieties of ramen are as endless as your imagination so spend this one-day class learning more about authentic ramen preparation and try your hand at creating a few dishes with hands-on guidance from our chef. You will learn how to create ramen noodles from scratch, in all hands on cooking class, also how to pair with different ingredients, a bold class for anyone who wish to learn the basics of cooking soups and sauces. Chef Kazuhira Hishida was one of the Top 10 chefs in America ,with his experience you will also learn knife skills, a demanded skill for every home cook, followed by a small reception to enjoy your creations at the end of the class. At Conexión Américas commercial kitchen Mesa Komal. ¡THANK YOU FOR THE SUPPORT, MORE EVENTS COMING UP SOON!